In New York City, it’s perfectly legal, in most cases, for buskers to perform on station platforms—a fact of which many NYPD officers are apparently unaware. 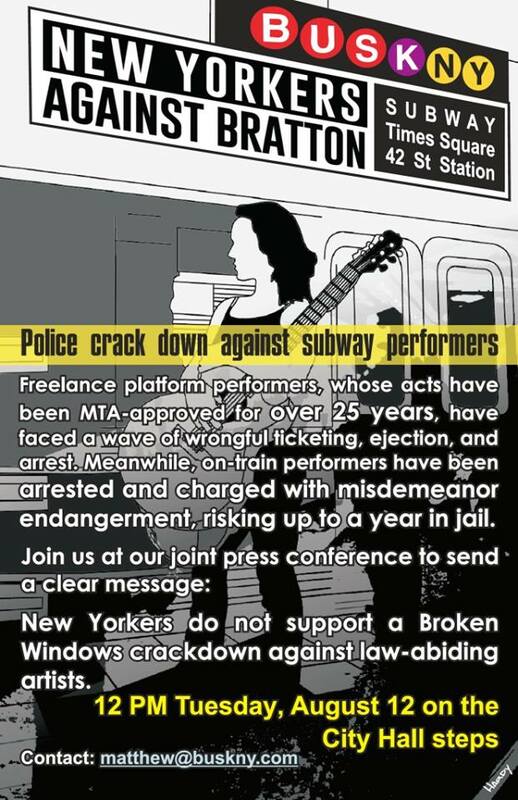 BuskNY, a coalition of freelance performers, have grown pretty tired of being arrested, jailed and slammed with pricey summonses for an activity they know to be legal under the MTA’s guidelines, and today they gathered on the steps of City Hall to call for it to stop. The habit of arresting subway performers is not only harmful to the performers, but the NYPD’s credibility, Christian said. 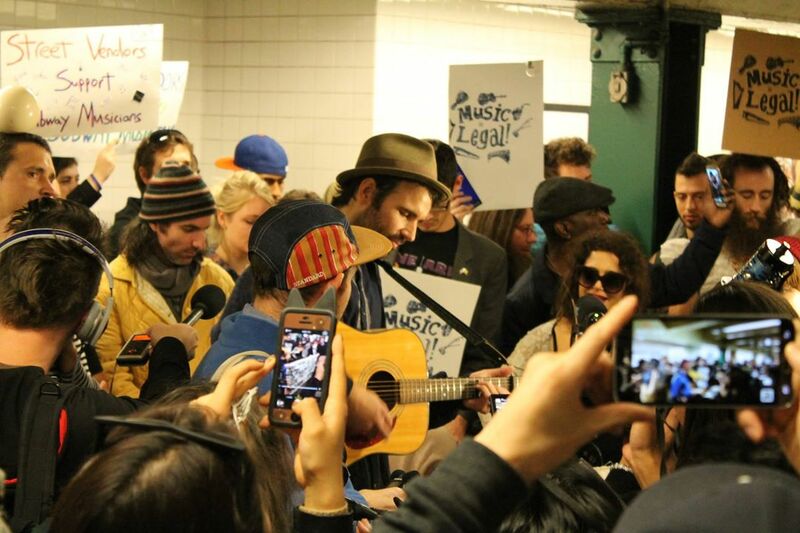 It’s also expensive—as many as 15 performers are in the process of suing the NYPD for wrongful arrest, which means the city could potentially owe up to $100,000 in settlements. 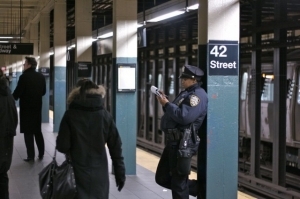 Christian argued that the mistreatment by cops is largely to blame for sending performers onto the trains—which is, in fact, illegal. Arrest of on-train buskers has rocketed in the last year, but performers say the punishment for getting caught is extreme. 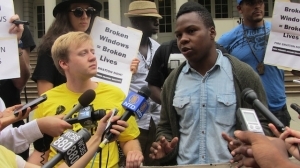 “If they were safe on the platform, which means if they weren’t at risk of being wrongfully arrested, and if the MTA supported and facilitated freelance and made sure that there weren’t arrests, then I don’t think they would be in the train,” Christian said. Zenon Laguerre, 34, said he was the first performer to take dancing to the train more than 20 years ago. He and other performers are aware that what they’re doing is illegal, but he doesn’t think the punishment fits the crime. Several performers said they were optimistic that the wrongful treatment of buskers would diminish with the arrival of Bill de Blasio, and were disappointed to see that bullying by cops has only increased thanks to Police Commissioner Bill Bratton and his “broken windows” police tactics, in which the NYPD aggressively cracks down on minor offenses. If a dancer receives six violations, it becomes a misdemeanor—five misdemeanors becomes a felony. Laguerre argue that to be charged so extremely for dancing is absurd. “You’re locking me up for dancing while there’s criminals on the street,” he said.